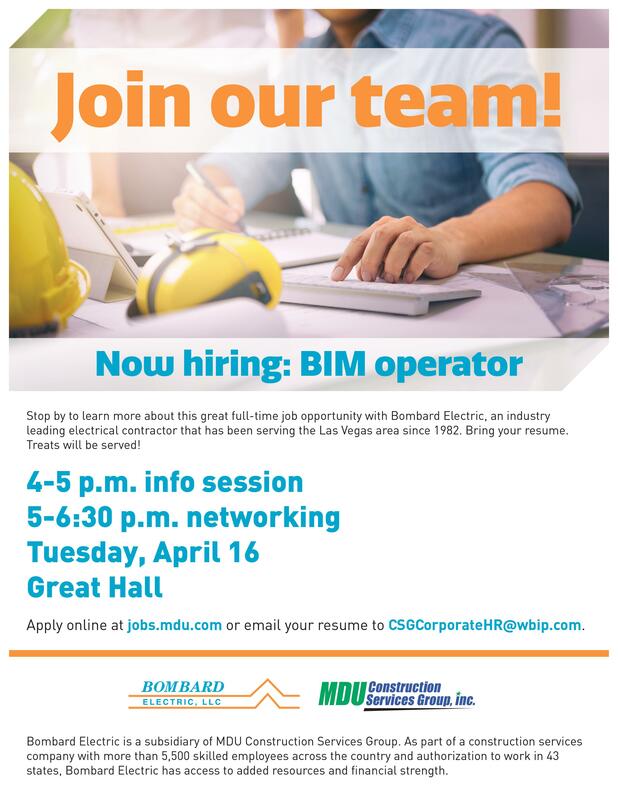 Stop by to learn more about this great full-time job opportunity with Bombard Electric, an industry leading electrical contractor that has been serving the Las Vegas area since 1982. Bring your resume. Treats will be served!